Amish horse and buggy parking space, July 2016. 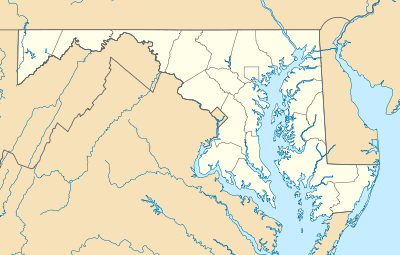 Mechanicsville is an unincorporated community and census-designated place in St. Mary's County, Maryland. It is adjacent to the community of Charlotte Hall, which is known for its agriculture, Amish population, large farmers' market/flea market, and the Maryland Veterans Home. Mechanicsville has many small businesses and restaurants along Maryland Route 5 and Maryland Route 235. 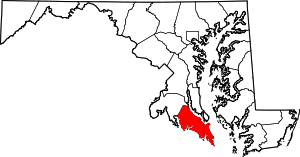 This community is served by the St. Mary's County Public Schools including Chopticon High School. As of the 2010 Census, Mechanicsville had a population of 1,508 people. Steny Hoyer, Minority Whip of the United States House of Representatives. Daryl Thompson, Major League Baseball pitcher (and a 2003 graduate of La Plata High School). The climate in this area is characterized by hot, humid summers and generally mild to cool winters. According to the Köppen Climate Classification system, Mechanicsville has a humid subtropical climate, abbreviated "Cfa" on climate maps. 1 2 "Mechanicsville". Geographic Names Information System. United States Geological Survey.